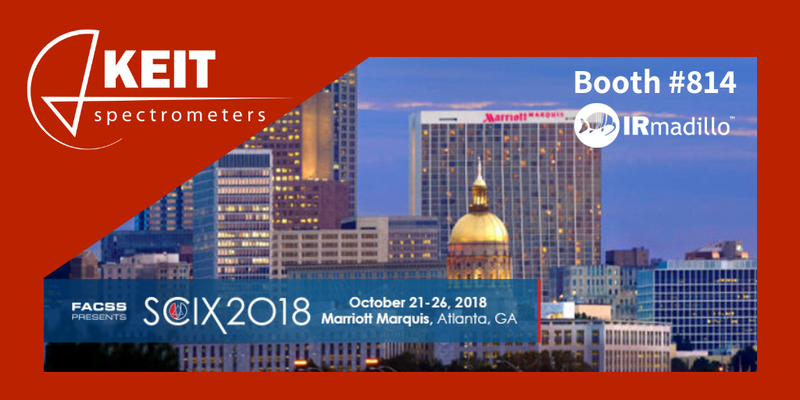 Keit has a full schedule at this year’s annual meeting of the The Federation of Analytical Chemistry and Spectroscopy Societies (FACSS) at SciX – The Great Scientific eXchange, October 21 – 26, 2018 (Atlanta, GA). You’ll see us demonstrating the IRmadillo FTIR Spectrometer at Booth #814. We’ll have a hands on demonstration of our compact, online mid-infrared spectrometer working on a continuous real-time reaction at the largest national meeting in the US focused on Spectroscopy, Chemistry and the innovations in its applications. Tues., 23rd Oct 2018 (3:50-5:10pm, Location A704): Dan Wood “Real-Time Monitoring of Industrial Fermentation Process With in situ FT-IR Spectrometer”. Session Code: 18PMA11 “Synthetic Biology and Bioprocessing”. Can’t Make it to SciX 2018?